Tacos. Glorious. Mexican food. Glorious. 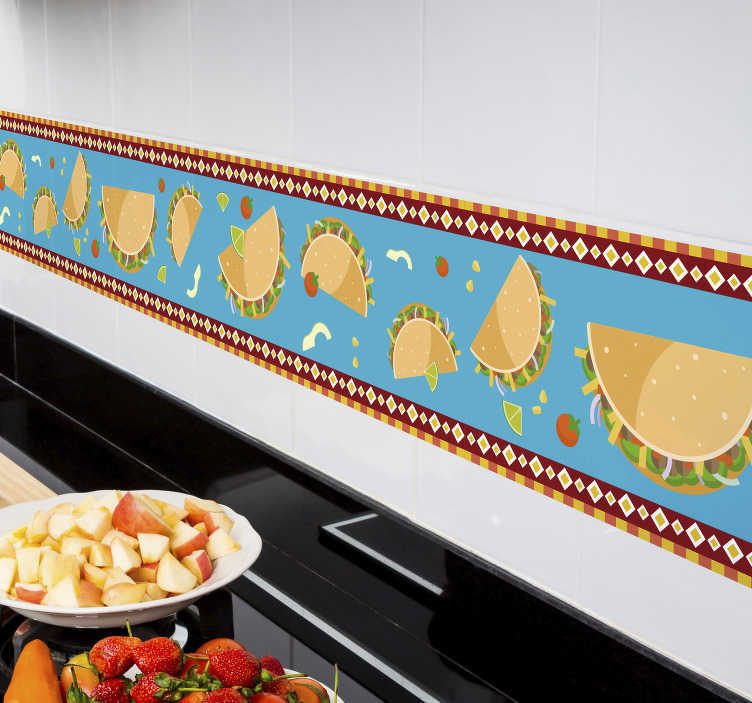 What more could you want from a food wall sticker in this fantastic border sticker, depicting all of the Mexican foods at their finest! Ideal kitchen decor for all those cooks who love to eat Mexican - And, let´s be honest, who doesn´t?! We certainly do!